Caylin Newton turned a lot of heads on January 5th when he announced on Twitter that he would be attending Howard University. Football fans along the fringe may have been surprised that the younger brother of NFL MVP quarterback Cam Newton was going to play football at an HBCU. 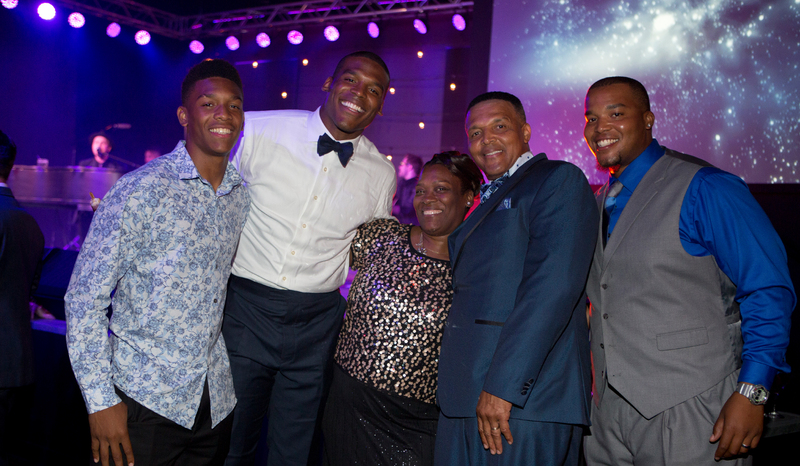 Those who know the story of the Newton family and their HBCU legacy in football weren’t surprised at all. Cecil Newton Sr., Caylin’s Dad, planted the HBCU tree for his family when he was a strong safety for the Savannah State University football team. He was invited to training camps with the Dallas Cowboys and Buffalo Bills in 1983 and 1984 respectively, before being released. Cecil Newton Jr., the oldest brother, was an offensive lineman at Tennessee State University and was signed as an undrafted free agent by the Jacksonville Jaguars in 2009. He had other stints with the Saints, Packers, and Ravens. The story of middle brother Cam Newton plays out on televisions across the country every Sunday. Despite Cam playing at Florida and later Auburn, after graduating high school, HBCUs are still the lifeblood of the Newton’s football DNA. “It’s just a lifestyle man. HBCU is just in the blood baby. It’s always good to come out here and see family. The long lineage. My Dad is HBCU, I’m HBCU, my youngest brother is HBCU. It’s just a beautiful thing to come out here and enjoy the environment,” Cecil Jr. told our Wali Pitt at a recent game versus South Carolina State. Caylin was a dual-threat quarterback, with a three-star rating, coming out of Grady High School in Atlanta in 2016. He had five official offers, according to his ESPN recruiting profile, four of them were from HBCUs. So don’t be mad at Hampton, Texas Southern, and Savannah State because they tried. Kentucky Christian was the other school to offer in addition to Howard. Caylin, who lets his play do most of his talking, is very happy with his choice five games into the MEAC schedule. “I couldn’t have made a better decision than to come to Howard, no regrets. I love it here,” he said. Howard fans should be more than happy because the Bison are serious contenders for the MEAC Championship this season. Something no one has dared to utter for the past five years. Howard is 4-1 in conference play after the victory over South Carolina State and Newton’s conference statistics read like a fifth-year senior, not a true freshman. He’s first in the league in total offense, second in passing yards per game, fifth in rushing and fifth in passing efficiency. On second thought those are Cam Newton type stats. Cam Newton obviously follows his brother’s progress although he can’t make it to the games in person. He had this to say about his younger brother in a September article in SB Nation. Caylin isn’t self-absorbed in his own personal success. His main focus is on helping the team achieve goals that honestly haven’t been realistic for a while. “It’s just about being a ballplayer, it doesn’t matter freshman or senior, it’s just putting the team into a position to win,” he said. Coach Mike London knows he has something special in Newton and he’s well aware of the run that this year’s team is giving to the Bison faithful. “It’s been a long time since we won three games in a row, been a long time since we been on the road and won a road game. A lot of positive things are going on and we’ll get better as a team,” London said. Cecil Newton Sr. is on the last go around of watching his sons play college football and so far he couldn’t ask for anything more. “Real excited, good team spirit, good chemistry. All around good athletes and great coaches so I’ve been really excited. I’ve been to about three to four home games, really excited about what the program is turning out to be this season,” said Cecil Newton Sr. Excitement is everywhere around the D.C. campus thanks in no small part to Caylin Newton, who is continuing the HBCU legacy of his family. A closer look at Caylin Newton’s conference statistics through the first five games of MEAC play.